Wired for Sound is a mobile recording studio powered by the sun. After a year of research, testing and plotting we created a solar powered set up that means we can record wherever we find ourselves and in August/ September 2013 we found ourselves on the first of many journeys. Our team of three - Simon Attwell and Julio Sigauque of the South African band, Freshlyground and radio producer, Kim Winter - traveled over 12 000km for two and a half months across Northern Mozambique. Our most recent trip saw us zigzag across Malawi working in four provinces from North to South, East to West. 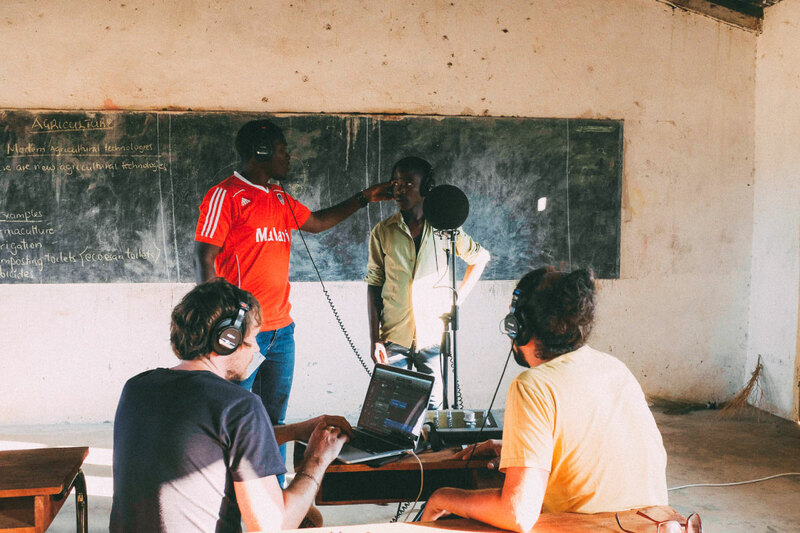 Through our partnership with community radio, meeting, jamming and recording with local artists, we want to create a more insightful and dynamic way of exploring a place and meeting the people who fill the space. Our intention is not traditionally ethnographic as the purpose is to discover the kinds of music being created now and to take these into collaborative spaces. In this way, we try to capture the stories of those we meet on our travels who are living in sometimes ‘difficult to access’ parts of the world. Most of the tracks recorded are the artist's original material tweaked and worked on in collaboration with Wired for Sound or created from scratch for the Wired for Sound recording. Artists receive copies of their tracks and are interviewed on their local community radio station, empowering them to promote their profiles through local radio and Soundcloud accounts. Our ambitions extend further than simply collaborating with artists to produce music. After each trip we make a selection of tracks which are further produced back in South Africa and collaborated on with more established artists. These tracks are made into an album which is available for download – the album serves as a way to showcase the music and artists and any revenue generated from sales goes towards equipping the partner radio stations with solar powered recording studios so that they can continue to record local music.